This shark from the North Pacific feeds on bottom animals. They’re known to eat giant octopus. They’re fairly productive and their litter sizes are estimated to be around 300. They’re often prey to killer whales. 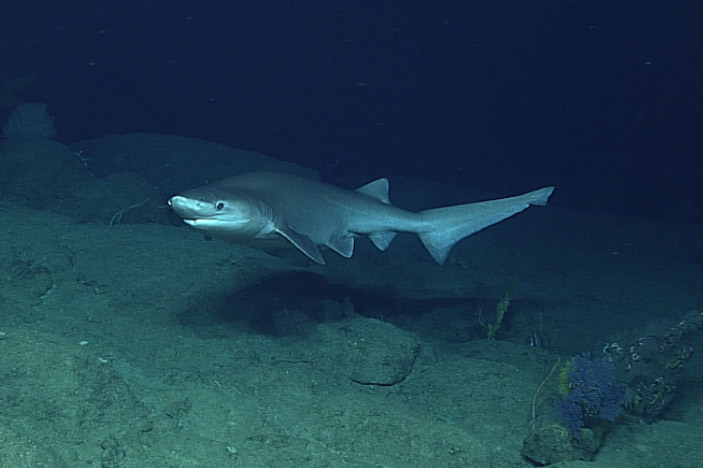 This deepwater shark is found around the world in tropical and temperate waters. It spends most of it life in deep water, where it feeds on anything they can find, from crabs to other sharks. Females can give birth to over 100 pups at once. 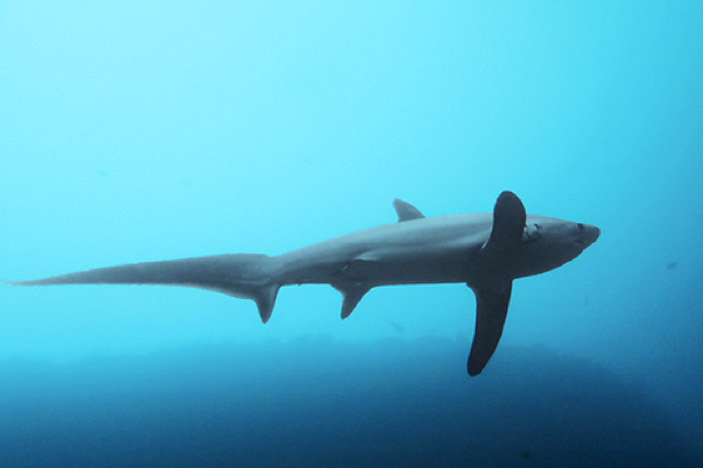 The thresher shark has one of the biggest ranges of all sharks. It’s found everywhere except polar waters. About half of its length is due to their enormous tail, which they use to generate great power when they swim. 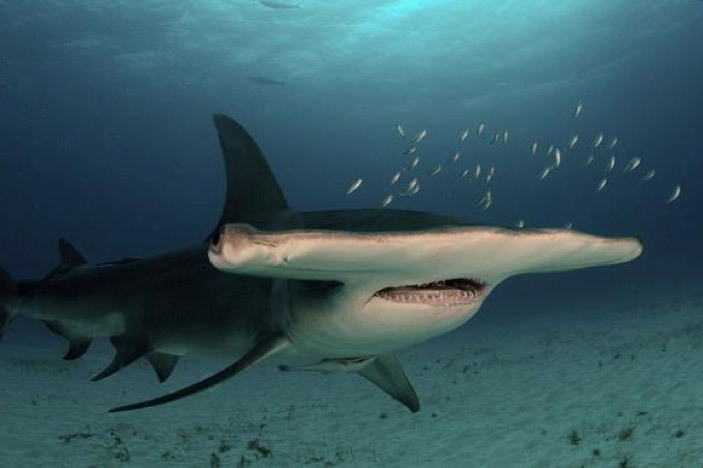 The great hammerhead is the largest species of hammerhead. It is found in warm waters around the world. Due to their size they’re potentially dangerous to divers, but there are no confirmed attacks on record. Unfortunately their numbers are declining due to the shark fin trade. 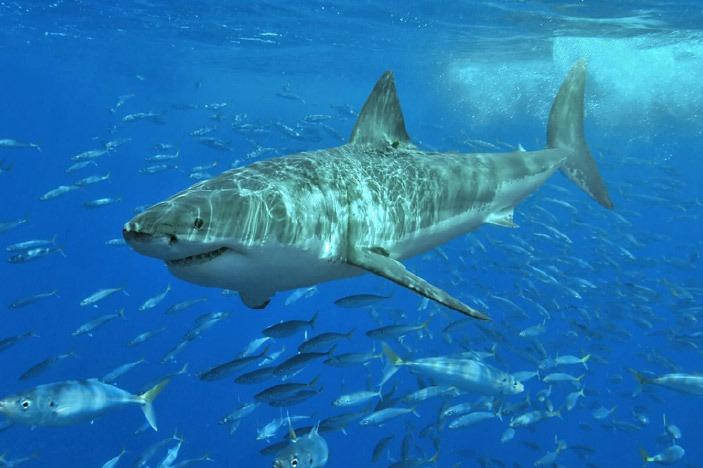 The greatest predator on Earth, the great white is famous worldwide for hunting ability. They feed mostly on mammals like seals, dolphins and porpoises, and also fish like sharks and rays. They hold the record for the most bites on humans among all sharks, but most are exploratory bites, where the shark is trying to figure out if they is edible. In most cases, great sharks are more interested in fattier prey such as seals. 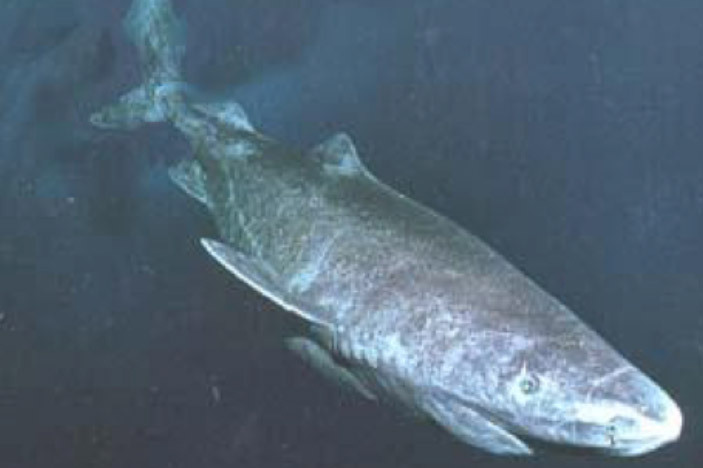 The Greenland shark is found in the North Atlantic. It’s one of the few filter feeder sharks and eats mostly plankton. It is extremely long-lived, with some individuals thought to be over 300 years old. They reach sexual maturity at around 100 years of age. This shark is completely harmless to divers, but its meat is poisonous. 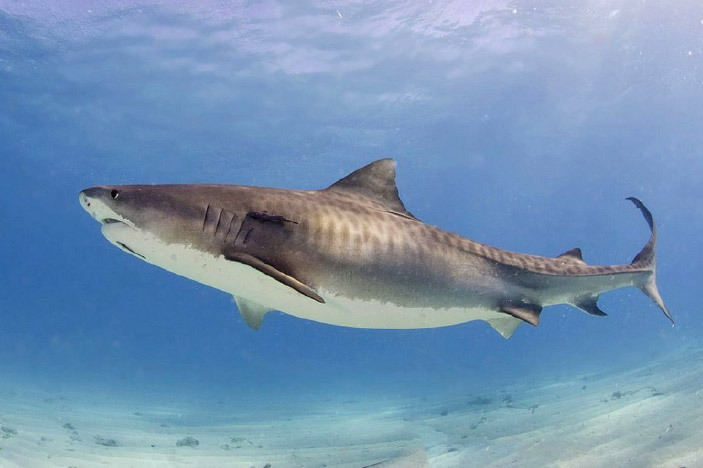 Tiger sharks are highly migratory and are found in most of the world’s temperate and tropical waters. 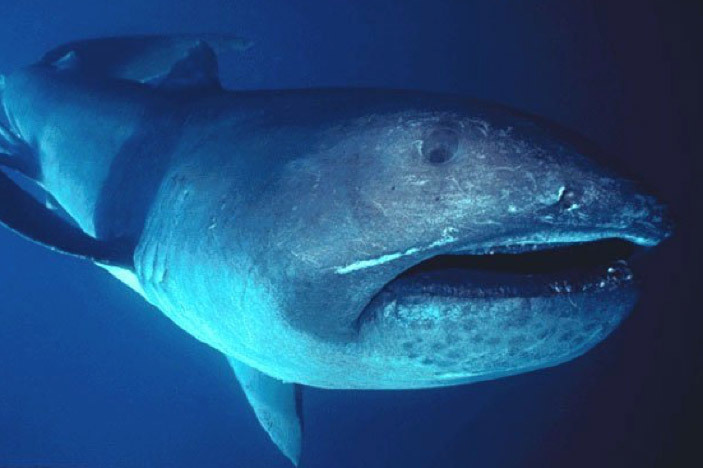 They’re nocturnal opportunistic eaters and will eat anything from turtles to other sharks. They’re also very productive, and can have over 80 pups in a litter. Their most salient characteristic is the stripes on their sides. This species has the second most recorded attacks on humans. But despite their ferocity, they’re known to be taken by groups of killer whales. This giant is a plankton eater found in all oceans, but it’s most commonly spotted in the Pacific. The largest specimen ever found was caught and released in California. 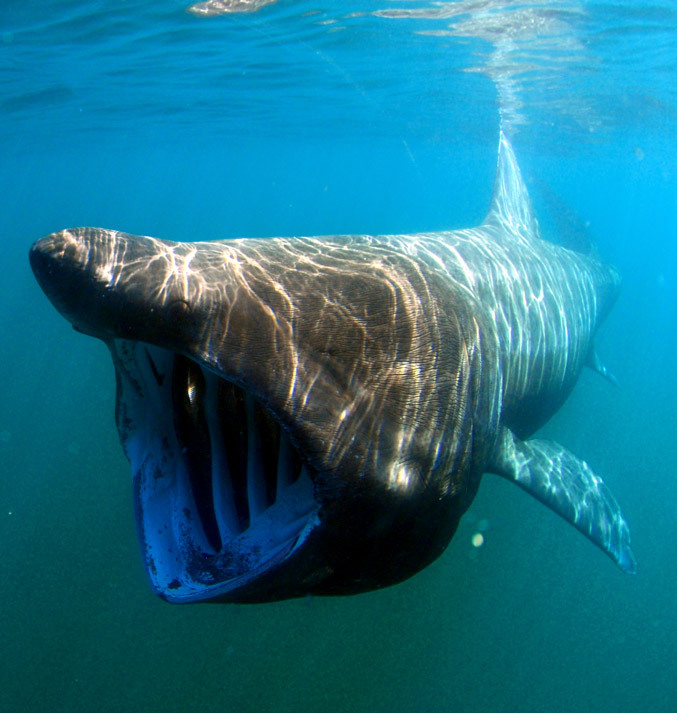 A filter feeder, the basking shark is big enough to swallow you whole, but it’s completely harmless to humans. They’re diet consists of mostly of plankton, which they consume by the pound with their huge mouth, which can open over 1 m wide. These sharks are highly migratory and are known to cover distances of over 9,000 Km a year. 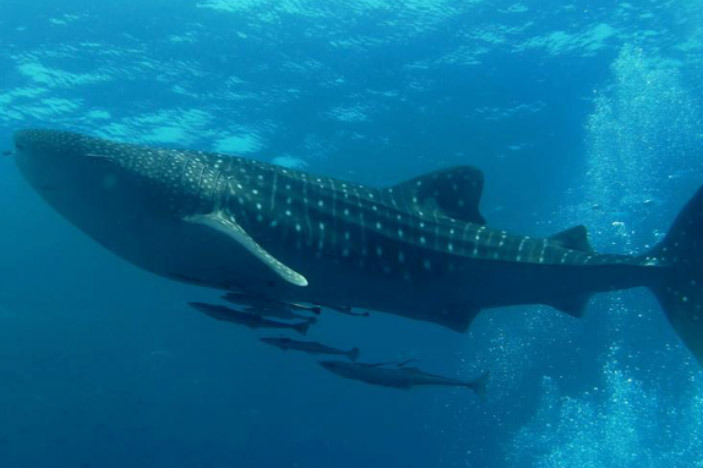 The largest fish in the world, the whale shark, is an endangered species found in most of the world’s tropical waters. Like the megamouth sharks and the basking shark, whale sharks are filter feeders and their diet consists almost exclusively of plankton. Because of this they’re completely harmless to humans, and diving with whale sharks has become a popular ecotourism attraction in several countries. While looking for food, whale sharks move their head from side and open and close their gills to get rid of excess of water. The largest individuals can weigh over 30 tonnes and give birth to 300 pups.